A Great Good Night - . time for the both of us. It's pretty spectacular on the outside. 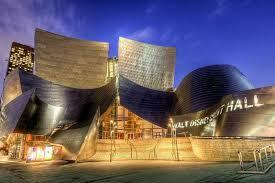 It's also pretty spectacular on the inside. 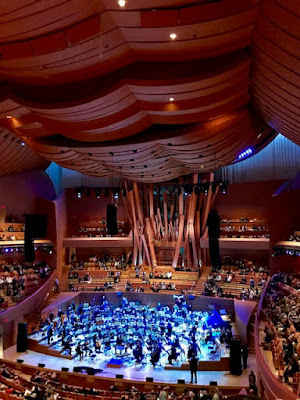 This is what it looks like when the LA Philharmonic is warming up and you're trying to take a photo around the head of the guy in front of you who's wearing a hipster porkpie hat. 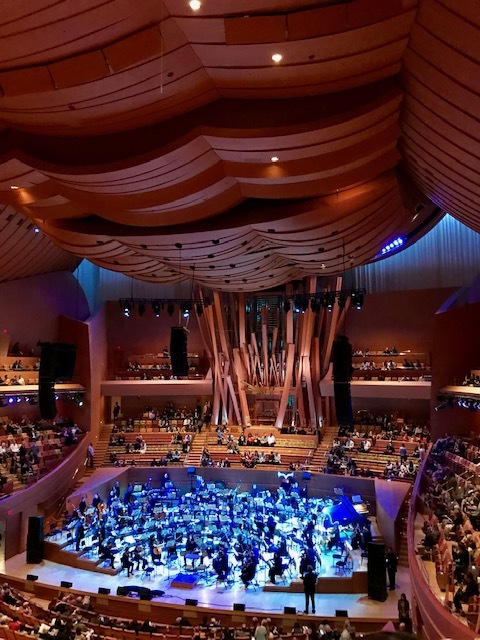 The Disney Concert Hall was made even more spectacular on the inside with the presence of one of my favorite musicians, Andrew Bird. 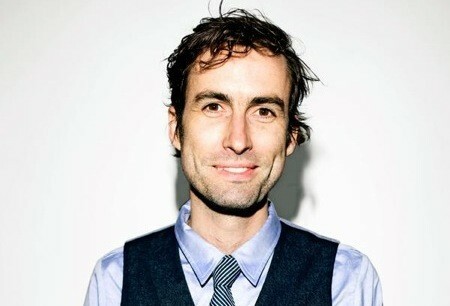 This is Andrew Bird. Mr. Bird is a singer-songwriter, violin player, and phenomenal whistler. I was first introduced to his music when I saw him in a short piece on a kid's show back in the early, sleep-deprived years of being Bob's mom. Here he is as Dr. Strings back on Jack's Big Music Show on the Noggin Network. Remember Noggin? Me neither, but I don't remember anything from that year because, again, sleep-deprivation. We were all so much younger then, even Andrew Bird. Anyway, tonight he played with the Philharmonic and it was special. It was, dare I say, magical? Yes, I do dare. It was a little magical. Here he is singing some more grown-up music. You're welcome.